Art dealer Alex Clayton and conservator John Porter are thrilled to be previewing the Melbourne International Museum of Art’s (MIMA) newest exhibition, until they witness a museum worker collapse and badly damage a reportedly cursed painting. Belief in the curse is strengthened when MIMA’s senior conservator Meredith Buchanan dies less than twenty-four hours later while repairing the work. But Alex and John are convinced there is a decidedly human element at work in the museum. The evidence sets them on the trail of a mysterious painting that could hold a key to Meredith’s death, and the stakes are raised higher when Alex is offered her dream job at MIMA. Damaging the museum’s reputation will jeopardise her professional future. The friends soon realise they are facing an adversary far more ruthless than they had anticipated, and there is much more at risk than Alex’s career. 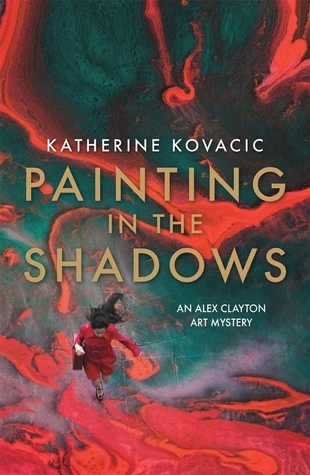 Painting The Shadows in a book that provides the reader with an interesting glimpse into the world of art, galleries and art conservation. This view is fascinating and even prompted me to do some internet research on some of the artists that are mentioned in the narrative. This is book 2 in the Alex Clayton Art Mystery series and for me this had quite a different emphasis than the first book (drama, mystery); this read provided more character development and backstories interwoven into a cozy type mystery. A perfect read for the plane or train. The third instalment in Lily Gardner’s P.I. Lennox Cooper series does not disappoint, this is compulsive reading. The third noir mystery featuring P.I. Lennox Cooper, a smart detective, a smart poker player, and one of today’s boldest heroines in the sorority of lonesome gumshoes. Flinty ex-cop, poker-playing, private detective, Lennox Cooper stands alone in championing Tomek Jagoda, darling son of a Portland crime family, accused of murdering his high-living girlfriend. The cops have proof that will send Tomek to prison for life, and prosecuting the case is a Viking goddess of a woman, as smart as she is stunning, who draws everyone’s adoration. Next to her, Lennox feels like a garden gnome. Even August Kline, Lennox’s boss and Tomek’s defense attorney, is ready to throw Tomek under the bus in a plea deal that carries a ten-year sentence just to court the prosecutor. What is it about Tomek-big as a tool shed and twice as dumb-that convinces Lennox of his innocence? As Lennox unwinds all the lies surrounding the case, she sees deeper into Tomek’s humanity and into her own. She realizes that she’s in love with the defense attorney who’s in lust with the prosecutor. Lennox bets her job, her love, and her own safety to find the killer. 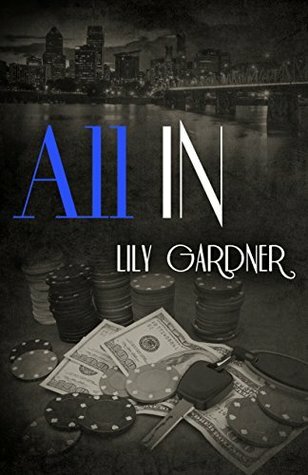 This is a series I particularly enjoy – I love the honesty of the characters, the camaraderie between the poker players and the angst that Cooper exudes as she tries to navigate the world as an ex -cop now private investigator desperately trying to pay her way (and find happiness) in an chaotic world. This is compulsive reading and I do hope that that there will be a part four coming soon. A night at the Melbourne Zoo drinking champagne seems a fine idea, until an animal’s death throws milliner and sleuth Catherine Kint into another mystery. Before you can say ‘monkey business’ Catherine and her trusted barman Boris are annoying everyone from zoologists to police. The investigation would challenge the best detectives, but this is Catherine and Boris on the case. Secrets, accidents, rivalries, egos and lust all set the dung flying. By the time this is finished, reputations will be tarnished, gin will be drunk and someone’s gonna get fed to the lions … or some other carnivore. 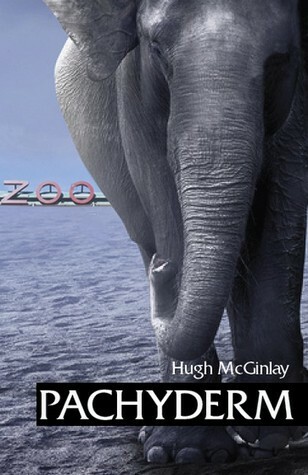 Pachyderm is the second Catherine Kint mystery written by Hugh McGinlay. I can visualise this book in the show-reel in my mind; such quintessential Australian humour, larger than life charters – Catherine and Boris are fantastic protagonists that you will cheer on as they try and solve this mystery. The settings are pure Australian – from the Melbourne Zoo to the local pubs, taxis and streetscapes. I loved being privy to the protagonists’ thoughts as they navigate their way through their action packed days. Interestingly each chapter starts with a characters witty observation, eg p. 165 chapter ten – “I’m cheerful, it’s the most subtle form of rebellion can think of,” Boris Shakhovskoy. There is a lot to love about this clever, addictive read. I predict that this series would make great television viewing with its quirky yet loveable characters, with a narrative that has a wonderful sense of fun and adventure and moments of almost slapstick humour. I did enjoy this quirky read!